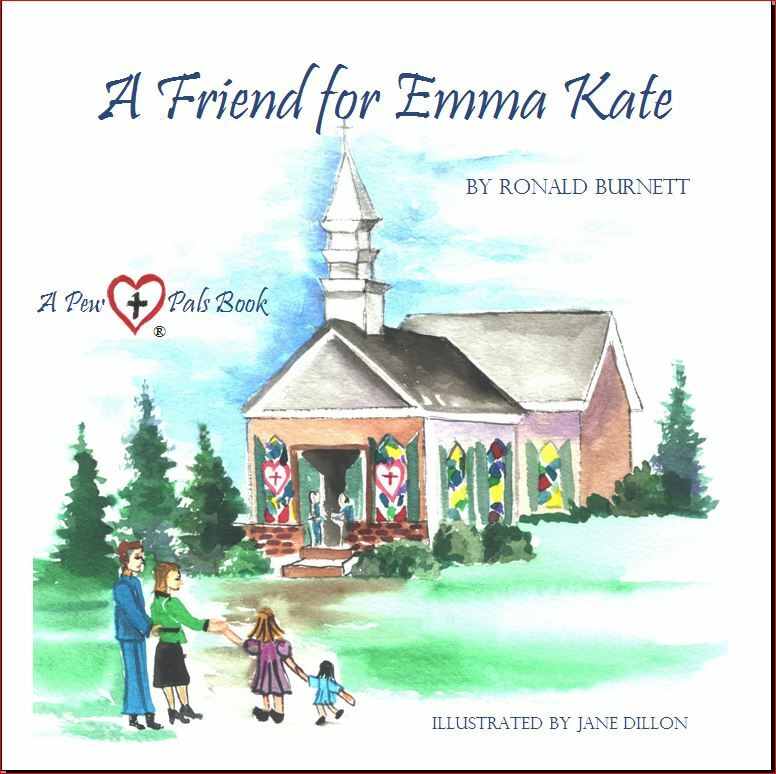 SPECIAL, LIMITED FIRST EDITION PEW PAL DOLL SIGNED BY RON BURNETT, NUMBERED, AND REGISTERED IN OUR PEW PALS REGISTRY! Imagine an earlier time, before all the high-tech bells and whistles of today's toys. Back when play was simple, fun, and imparted family and religious values. The Pew Pal is a toy that harkens back to those days; a soft, plush, high-quality rag doll designed to allow a child to use her imagination. 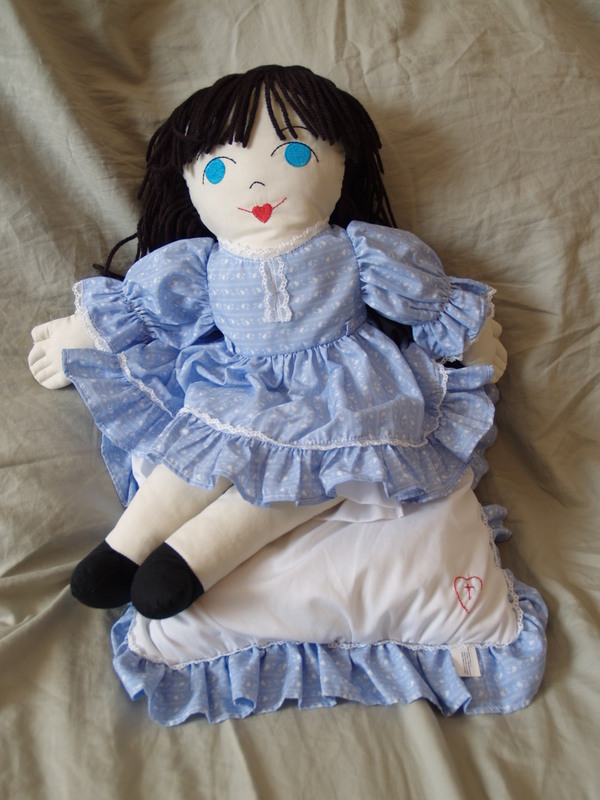 Our cotton-polyester blend Pew Pal rag doll comes with a changeable dress, a pillow with a storage pocket, and a children's book written by Dreams of Hope's founder Ron Burnett. 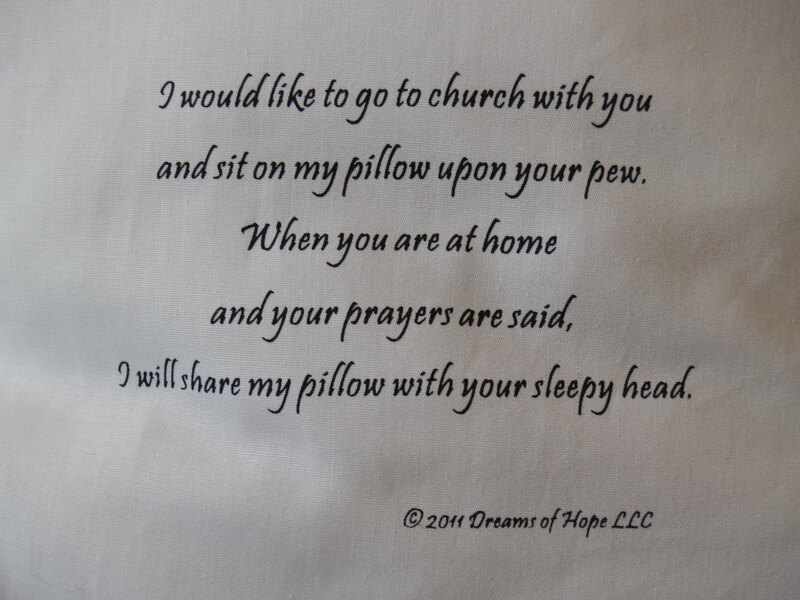 And sit on my pillow upon your pew. I will share my pillow with your sleepy head. And of course, in the spirit of Christian charity, a portion of the proceeds from each sale will be donated to a children's charity. These are First Edition Pew Pal dolls, signed and numbered by the dolls' creator Ron Burnett, and registered in our Pew Pals registry! Joomla template created with Artisteer by Neil Hesketh, ndh Small Business Consulting.